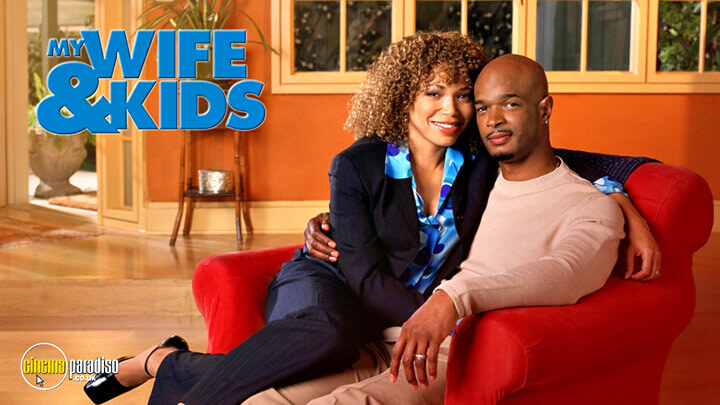 My Wife and Kids is an American comedy and romance TV series starring Damon Wayans as Michael Kyle, Tisha Campbell-Martin playing Janet 'Jay' Kyle, George Gore II as Michael Kyle Jr., and more. The show follows Michael Kyle (Wayans) as he tries to lead an ordinary life and do his thing, but his wife, son, and daughters constantly get in Michael’s way. Damon Wayans, Tisha Campbell-Martin, George Gore II, Jazz Raycole, Jennifer Freeman, Parker McKenna Posey, Marlene Forte, Michael James Johnson, Nicole Scherzinger, Wendell Pierce, Raven-Symoné, Tyson Beckford, Brooklyn Sudano, Rhyon Nicole Brown, Damon Wayans Jr., Reesey, et al. Michael Kyle (Damon Wayans) longs for a traditional life, but his day trader wife Janet (Tisha Campbell-Martin) and three brooding children make his dream just that - a dream. Watch how it all began with the complete first season. With Wayans at the helm, this is no ordinary family comedy. Damon Wayans, Tisha Campbell-Martin, George Gore II, Jennifer Freeman, Parker McKenna Posey, Noah Gray-Cabey, Andrew McFarlane, Brooklyn Sudano, DeRay Davis, Chuck E. Weiss, David Alan Grier, Charlie Dell, Kennedy McCullough, Todd Lynn, Brian Holtzman, Blake Hightower, Don Perry, Lillian Adams, Clint Culp, Damon Wayans Jr.
Damon Wayans, Tisha Campbell-Martin, George Gore II, Jennifer Freeman, Parker McKenna Posey, Noah Gray-Cabey, Andrew McFarlane, Brooklyn Sudano, Wayne Newton, Nick von Esmarch, J.P. Manoux, Dustin Bailey, Dom Irrera, Michael Jordan, Robert Shapiro, Al Sharpton, Alan Thicke, Larry Weissman, Virginia Williams, Jc Mercer Jr.